Fifth Dimension presents Smith and Burns in Unbelievable, an evening of magic, wonder, fun and laughter. 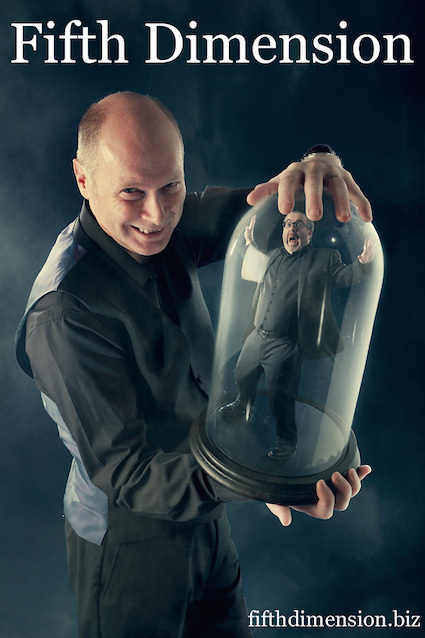 Multiple award winning magicians Smith & Burns have performed their magic all around the globe and recently performed their show to members of the world famous Magic Circle in London. Last summer they joined a group of internationally-renowned magicians and television personalities to perform on the Legends of Magic cruise and starred in The International Stars of Magic and Variety Show. They have also performed over 35 shows for members, celebrities and VIPs at the exclusive Magic Castle in Hollywood LA and topped the bill in Las Vegas. Come along and meet the magicians who have turned down Britain’s Got Talent no less than 4 times! You can expect to leave the theatre buzzing with their breath-taking magic and wondering how on earth they managed to do it!